Look how much Peanut has grown.. I wore a bright lip yesterday and I liked it. I used 'Rose Maiden' from the 'Colour Forecast' collection. It's a muted red with rosey pink undertones with a frost finish. I don't usually like frosts but this one is really wearable and pretty plus it lasted a long time, it was still there after a big meal, it faded nicely too. I'm wearing it with Voluminous Mascara, Bourjois brown eyeliner, Chanel bronze universel and Mac face & body foundation. I picked up these beautiful delicate earrings yesterday from Accessorize, they were only £10 and I love them! Lastly, and most importantly Ramadan Mubarak! What random things have you been doing lately? He looks so cute! I love the pink bit on his nose..so unique. that lipstick looks great on you, especially with that top. Lucky Dog to have a gorgeous MAMA like you. Thelipstick is very pretty looks great on you. The lipstick is really perfect on you! love that lip color, you look great! and OMG your dog is adorable!!! Your dog is so precious! I've been thinking about getting one lately. And love the side bangs, I try to restrain myself from taking scissors to my own hair when I'm bored as I'm not as skilled. wow, that lippy looks fab on you :) Perfect for summer as it's not a very harsh red! you look lovely! The bright lips really suit you! i've been intrigued with the mac face & body foundation but i'm afraid it might not be enough coverage for me. but i can definitely see why you love it, your skin looks natural but polished. beautiful mashallah!!! I love this look very turkish lol vibrant and summery, peanut is so cute lol hes like a little baby !!! your skin is looking great! Love that lippie too! That lippie looks amazing on you! Peanut has grown into such a handsome boy!!! I MEGA LOVE those earrings!!! Ramadan Mubarak Habibti!! You look stunning babe! awww hes so cute, his name is perfect for him! 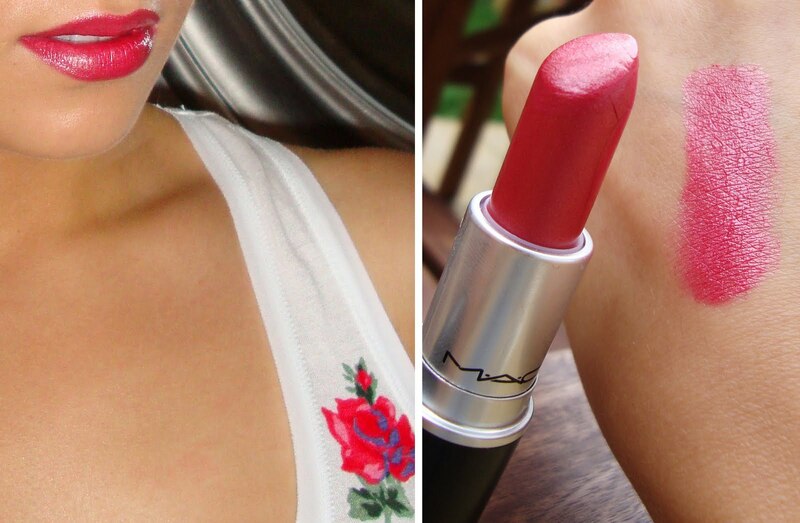 love that lipstick on you. your hair looks really nice and the lipstick looks great. ramadan mubarak to you too. are you muslim? JazakAllah, Ramadan Mubarak to you too!!!! hugs for peanuts! Your hair looks nice, And love the lipcolor. Peanut is soo cute! your puppp is so cute! i love mac lipstick it's probably one of my fave brands for lippy. You look gorgeous, as always! I have trimmed my own bangs before, but never successfully. Some of my bangs ended up half an inch long! Of course, I had corporate work photos the next day. Figures. LOL! I want to steal your puppy! He's getting so big! Your love for that dog warms my heart. You are both beautiful. Beautiful hair and make up and that doggy is adorable. Ramadan Mubarak to you also! I really love your earings! Love the lippies, now im so into red lips didnt think id pull it off :) and love that color on you! Wow, you pull off that color so well! Prob. b/c you're GORGEOUS!!! Action checks start that a whole of 32 batches of substandard sunglasses, event frames a tot up up to of 47 batches of substandard.